Hello! I hope you're having a good Wednesday. Today's post is going to be a little review of a new collar, lead and bow tie that I bought for Archie at Dog Fest on Saturday. The photography for these coming reviews isn't my best, I must admit... Archie isn't always the most willing model (read, I had to bribe him with food this day! Haha) and I had to work with the dark sofa, and a low-lit room. 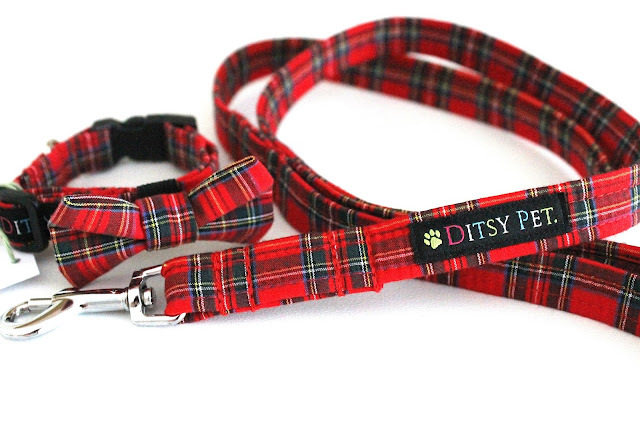 I had heard of Ditsy Pet before, and they were on my list to visit at the show. Their stall was set up beautifully, with everything clearly on display, and I could have browsed for ages! 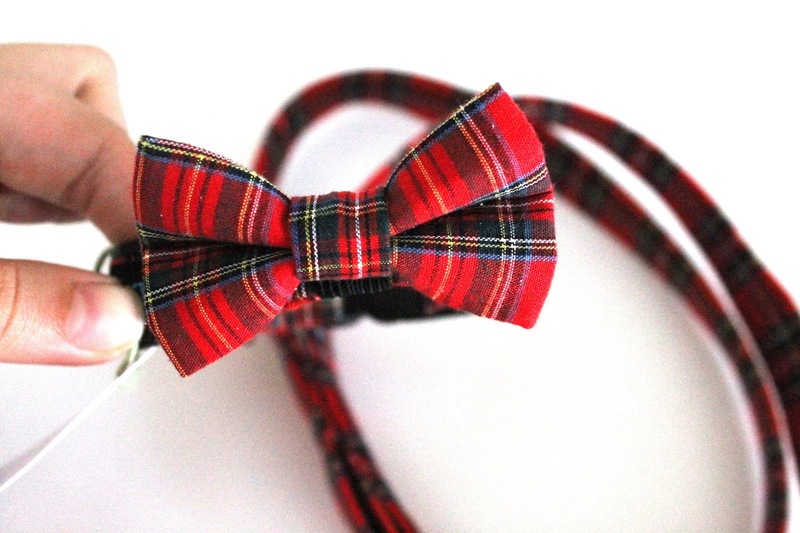 There were leads, collars, bandanas, bow ties... and upon looking at their website I've discovered they even sell harnesses! 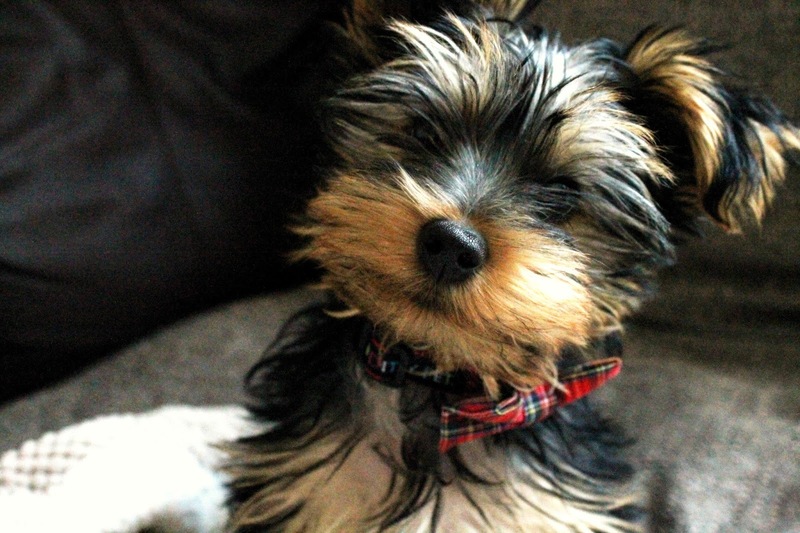 As soon as I spotted this tartan collar, I had to have it. 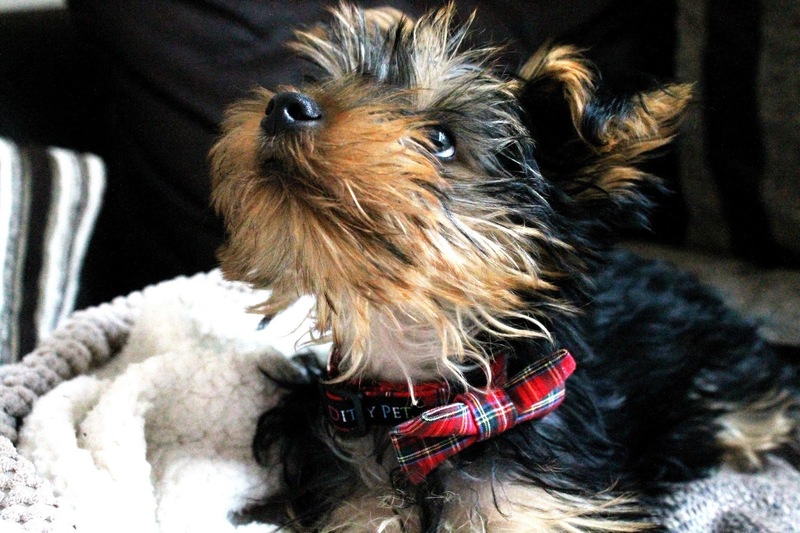 I've always thought tartan would look great on Archie, and I've had my eye on a few collars from different sellers, but I just couldn't resist this one once I saw it in the flesh. The major pull for me was that I could buy the full matching set! Look how cute they are! 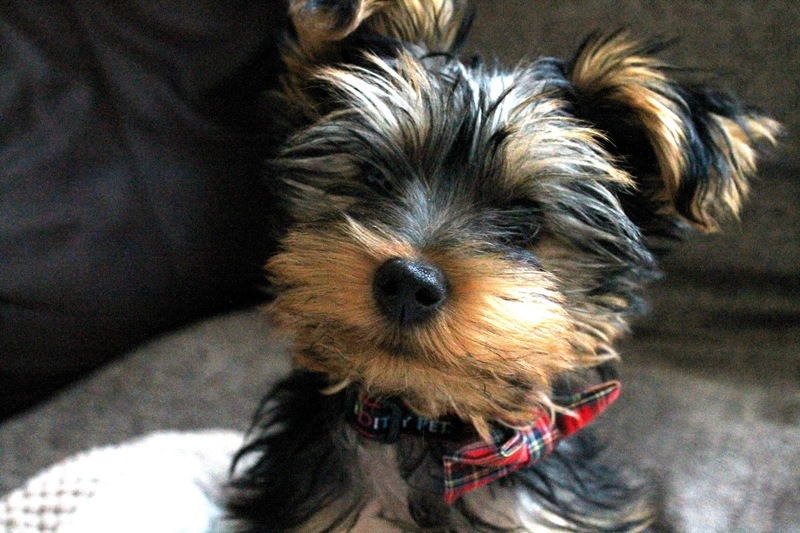 I absolutely love the bow tie; they come in two sizes, and the little one is absolutely perfect for Archie. It's a standard slip on one, and looks adorable on his collar. It's all beautifully made too, the stitching is perfect, the bow tie is lovely and sturdy and the lead is really soft on your hands. I just can't wait to use this set at Christmas! Although having said that, he's been wearing it all week anyway. I think he looks absolutely adorable, if I do say so myself. Have a good evening, and make sure you check out Ditsy Pet! We can't wait to get the tartan back out for Christmas!